Find it fast, do it fast! A fast paced competition featuring 100 events to challenge observation, skill and dexterity. Read the challenge card and either find it or it first in this " in your face" race!! From children to grandparents and everyone in between, SHABOOM! brings the whole family together. Just use the colourful components in your tray to stack, roll, bounce, and spell your way to victory. Be the first to complete ten tasks to win the game! SHABOOM! is the in-your-face race! First, players must grab a tray full of colourful components such as dice, dominos and tiddlywinks. Then flip over one of the 100 challenge cards and the race is on to find the components and complete the challenge as fast as you can! SHABOOM! 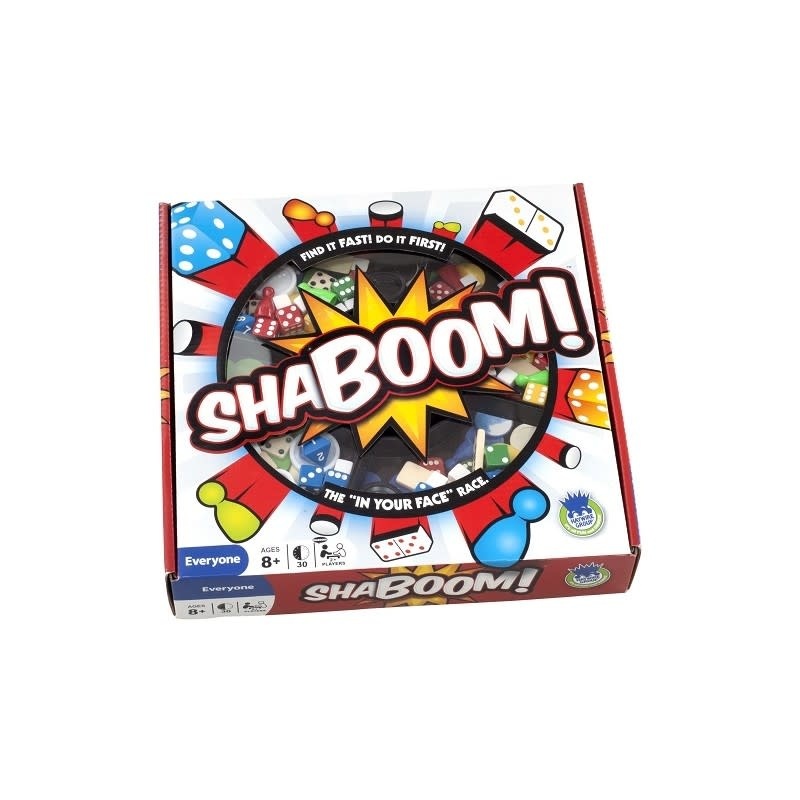 is a box full of excitement, that encourages quick thinking, speed, dexterity and a steady hand. Age: 8 years and over.